On the Graham Norton Show on Friday, Stephen Fry talked about the internet and how excited he was upon its conception. The comedian and author said he thought the World Wide Web would be a power for good, bridging divides and creating a global community, while helping to eradicate intolerance, ignorance, and hate. Instead, quite gloomily, Fry said the internet has been somewhat of a Pandora's Box: releasing all manner of evils and injustice. This is true. But there are moments less saddening, and one of them happened this past week. 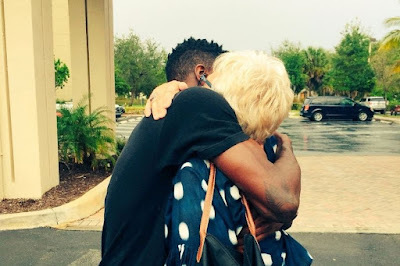 On Friday December 1, a young man from Harlem, New York, travelled to visit 80-year-old Roz, who lives in a retirement home in Florida. They'd not ever met in real life, but had forged an online relationship thanks to a game called Words With Friends. Spencer, 22, posted pictures of their meet up to Twitter. He said they started "randomly" playing the online game, which pits two people together in a Scrabble-like contest, and have played 324 games. 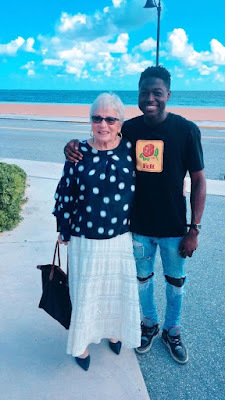 Spencer said: "So last summer I randomly met this 80 y/o woman on Words With Friends. We played 300+ games together and she actually ended up becoming a good friend of mine." Spencer and Roz's meeting was made possible by New York pastor Amy Butler, who managed to help them get together. 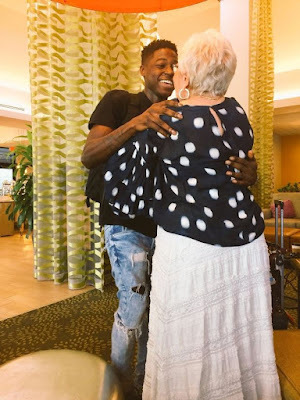 She said: "Sweet day today with Spencer and his Words With Friends friend, Roz, watching them bond in person for the first time."